A former Coach House dating back to 1893. The residence is located on an exclusive and private estate is available unfurnished. This fine and impressive home must be viewed to be fully appreciated. Available August, unfurnished. Brookfield Farm is a detached, well presented five double bedroom house situated on the edge of the popular village of Aston Clinton. The property would be ideal for a family seeking a home with equestrian facilities, or those looking for plenty of space within which to enjoy recreational pastimes. 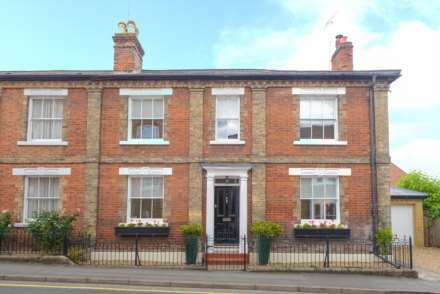 A fine three bedroom period residence located in the sought after and desirable town of Berkhamsted. The residence has undergone refurbishment to an exceptionally high standard and is within walking distance of Berkhamsted town centre and railway station. A spacious six bedroom detached family home in the sought after village of Slapton. The property benefits from good transport links and is within Buckinghamshire Grammar Schools catchment area. Available now. A modern, immaculate and well presented four bedroom, three storey residence situated in Berkhamsted within walking distance of the station and all local amenities. Allocated parking. Must be seen. Suit professionals. No pets or smokers. Available mid January. Located in a highly desirable sought after area a four double bedroom detached family home which has been recently refurbished. Available unfurnished. Must be seen. Located in an idyllic and quiet setting to the edge of Aldbury village, a delightful Rothschild three bedroom detached residence full of charm and character. The residence is available unfurnished. No pets. No smokers. Professionals only. Sought after and very desirable location. An executive detached family home located within a minute walk to the station and situated in one of Boxmoor`s most desirable areas with easy access to the A41, M1 and M25. Close to local shops and leisure activities. PETS CONSIDERED. A stylish and contemporary ground floor apartment located on the new upmarket Royal Keys development less than a mile`s walking distance to Berkhamsted`s town centre and the railway station. Easy access to A41 and M25. The spacious and luxurious lifestyle would suit city professionals. An Edwardian three/four bedroom residence located in the sought after upmarket town of Berkhamsted. 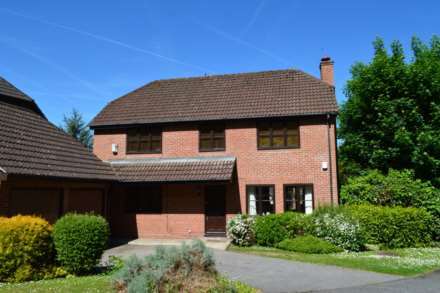 The residence is located within excellent school catchment and provides well planned accommodation throughout. Available 5th April unfurnished. Viewing is highly recommended. Recently refurbished including a new kitchen, carpets and decorated throughout. A four bedroom detached family home located in a popular sought after area of Berkhamsted. Available 19th October. Available now. A four bedroom detached family home situated on the edge of the sought after village of Waddesdon backing onto farmland.